In American culture Hollywood and Kansas seem about as far apart as you can get. The glamour of the red carpet and the serenity of pulsing wheat fields rarely intermingle. But culture is universal and it's only the superficial expressions that seem foreign. The crossovers can be as real and varied as life itself. Within the world of commercial film, one family stands out as representative of some of the values and traditions that we hold dear here in the Middle West. One family always seems to pop up whenever the silver screen and the roots of our culture meet - the brothers Carradine, sons of the immortal John. When the stories of John Steinbeck or Woody Guthrie needed to be told, or a tender love song needed to be sung, one Carradine or another seemed to show up. And if you looked closely, you'd notice that the guitar David Carradine, as Woody, plays atop that freight train and in the jungle camps in Bound For Glory is not a vintage pre-war Gibson, but a Mossman Winter Wheat straight from Strother Field in lovely Winfield, Kansas. And you might also notice that at the emotional center of Bob Altman’s classic film about American culture, Nashville, when Keith Carradine sings the ballad "I'm Easy", the guitar in his hands is also a Mossman. That treasured Winter Wheat was custom made for Keith, based on his own design. These are not random examples of early product placement, but expressions of love for a man and his passion. That man is Winfield son, Stuart Mossman, and that passion is the forming of wood, wire and lacquer into a thing of beauty and song. The feature-length documentary, Stuart Mossman, a Modern Stradivari, the love child of self-taught New York filmmaker Barry Brown, begins and ends in a cemetery. The beginning is a visit to the grave of the great luthier, who died in 1999, by his wife Kendra and his daughters Rebecca, Laura and sister Martha. The ending is Robert Carradine playing the Winter Wheat he built at Stuart's side, at the grave of the man who portrayed Woody Guthrie so many years ago - his oldest brother David. In between is the story of the man who helped return guitar building from a mass-market factory model to a craft of love and devotion. That same man was at the center of the birth of an American music festival that rivals all others -- The Walnut Valley Festival -- four days (or fourteen, depending on your level of commitment) of community and acoustic music that happens around the third weekend in September every year. Sadly, when Mr. Brown and his dedicated crew, Scott Baxendale, Suzanne Camejo and Casey Couser, came to film the festival in 2008, the campgrounds were under water, so there are no classic shots of much of what the festival is really about - pickin' in the Pecan and Walnut groves. Still, they do their best to portray the vibrancy of those magical days along the Walnut River, and their portrait of the man, the festival, and the guitars is one that all Winfielders will want, and even need, to see. As so often happens with greatness, word gets out. The elder Carradine, just going about his business of directing a film, overhears someone talking about a man building phenomenal guitars out of a garage in Kansas, and decides he needs to look into it. David Carradine wasn't the only one. John Denver got word. So did Emmylou Harris, Waylon Jennings and a host of others. David went to Kansas, and his brothers, all musicians and music lovers, followed. Their close friend, Barry, a man of many eclectic interests and a musician as well, also caught the message playing on a Kansas wind drifting over the state of California, not entirely unlike those dust bowl refugees from so many years ago. One by one they stepped into Mossman's humble shop and found themselves transformed by a piercing pair of sky-blue eyes and an enthusiasm as boundless as those Kansas prairies. And one by one they bought the guitars, spreading the word even wider. 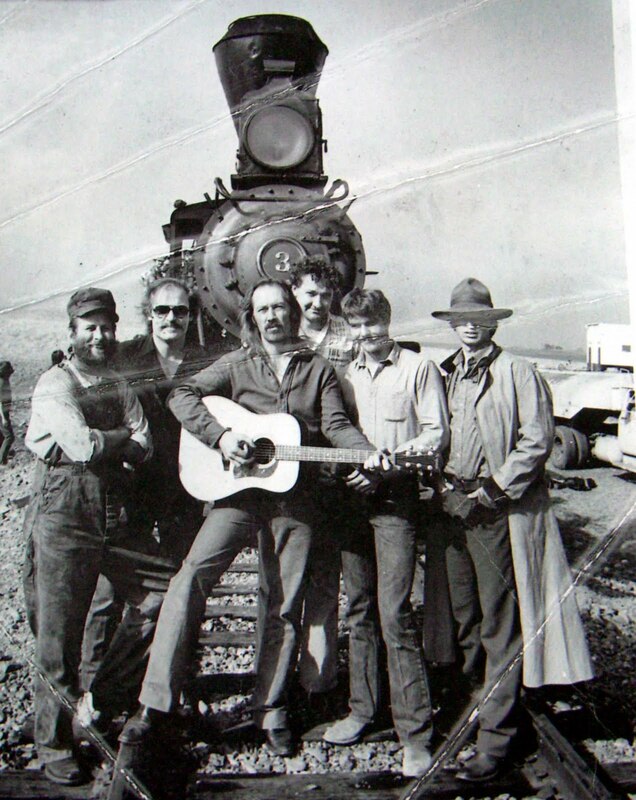 The Carradines brought Stuart into their world, as well, giving him minor roles in Barry's films, Cloud Dancer and The Long Riders -- the crews of which, predictably, ended up buying Mossman guitars. Now, a decade after Stu's passing, those early supporters and enthusiasts have joined with a whole passel of musicians and luthiers to tell the remarkable story of Stuart Mossman, along with the troubled history of Mossman Guitars. Dan Crary, who played one of the pre-bluegrass folk festivals at Southwestern College in 1971, guitar wizard Beppe Gambetta, Oklahoma fiddler Byron Berline, and master Luthier Scott Baxendale all bring to life the wonder of these hand crafted guitars. They, along with a colorful lineup of Mossman's friends and family, also relate the wonders and passions of the man himself. Kansans, especially, owe a debt of gratitude to the folks who have put this tribute together, but guitarists everywhere are continually blessed by the guitars Stuart left us. Also by the technicians, such as Scott Baxendale and Steve Mason, who learned their trade by his side. They are scattered across the country now, refretting guitars as fast as the hottest pickers can tear them up. There's also a final stage of this legacy in the new wave of small, high-quality luthiers who now ply their trade because Stu Mossman showed them it was possible to not only match, but to exceed the quality of even the best factory-born instruments. So when you pick up a Santa Cruz, or a Collings, or a Goodall, say a little thank you, under your breath, to Stuart. This self-financed film is a labor of love for everyone involved in it's production. Anyone in Wichita the weekend of October 22 will be able to share that love, because Barry Brown will be joining the Tallgrass Film Festival for the premier Kansas screening of Stuart Mossman- a Modern Stradivari. Because of the inherent nightmare of film festival scheduling, exact times have not been set, but two screenings are likely. As well as a directors talk by Barry, the festival is scheduling a Winfield-style jam in the parking lot after the Saturday screening, and a gathering of unique and unusual Mossman guitars from across the country will be put on display at the Scottish Rites Temple beforehand. Exact times will soon be posted on the Tallgrass website, as well as the film's Facebook page. If you ever waiver in your perception of David Carradine's devotion to this story, all you have to do is remember that he named his daughter after the Mossman South Wind he owned, using the Kansa Tribe's word for it - he named her Kansas. This journal began as I was researching the history of the Walnut Valley Festival back in 2007. Much has been added along the way, most of it related in some way. To go to the beginning of my journey, and hopefully, the beginning of the story, go here: http://oldfolkie71.blogspot.com/search?updated-max=2007-08-31T09%3A56%3A00-05%3A00&max-results=7 ---------------------------------------- Every September, the cottonwoods along the Walnut River begin calling, and the Pecan and Walnut groves stand ready for their duties as shelter and shade for a community of music lovers from across the globe. My life-long goal remains the same:to keep alive the history of the folk music of Southern Kansas and to somehow wrest the soul of this magical festival from both it's past and it's future, and to try to find where that soul lives and breathes during that week in September where life goes on as we each feel it should, in our own ways, in our own time.